At the Southampton Oval, Warwick Workmen’s picked up an 8 wicket victory over Willow Cuts, Willow Cuts batted first and they were bowled out for 112, Kwasi James was the top scorer with 35, while Cameron Jeffers returned bowling figures of 4-0-8-3 to lead the Warwick Workmen’s bowling attack. In reply Warwick Workmen’s would score 116/2, Amari Ebbin was the top scorer with 52 not out, while Kamal Bashir was the pick of the Willow Cuts bowlers with figures of 3-0-19-1. In reply PHC could only manage 110/6, Jamori Beach was the top scorer with 49, while Isaiah Crieghton led the Cleveland County bowling department with figures of 2-0-9-2. Batting first at Lord’s, Flatt’s Victoria scored 172/5. Regino Smith was the top scorer with 97 from 53 balls, he hit 6 fours and 7 sixes, Levar Talbot was the pick of the Devonshire Recreation Club bowlers with figures of 4-0-18-2. In reply the Devonshire Recreation Club could only manage 149/7, Freeman Lema was the top scorer with 38, while Shane Robinson was the pick of the Flatt’s Victoria bowlers with figures of 3-1-27-2. At Lords in St. David’s, the host batted first and scored 155/7 in their 20 overs. Allan Douglas II was the top scorer with 57 from 31 balls, he hit 2 fours and 5 sixes, Rodney Trott was the pick of the Bailey’s Bay bowlers with figures of 4-0-14-3. 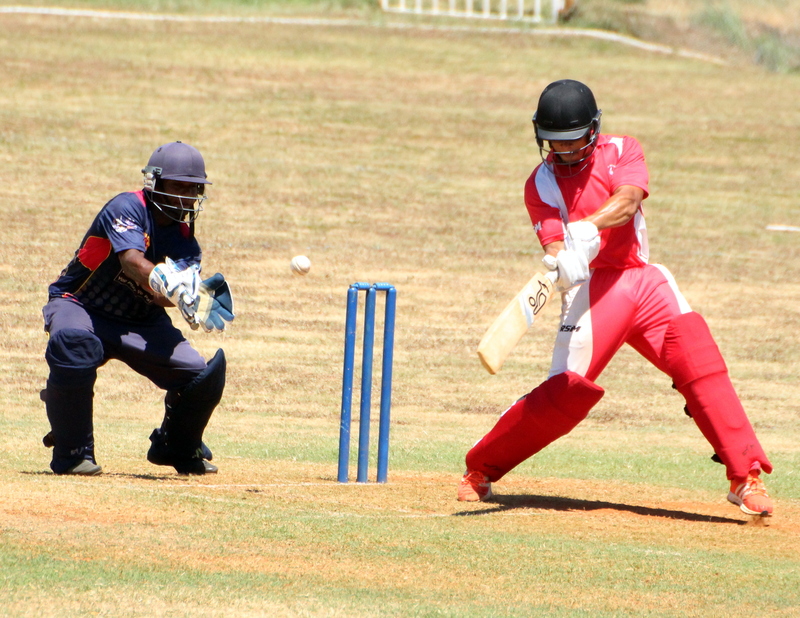 In reply Bailey’s Bay only managed 135/5 in their 20 overs, Trott was the top scorer with 74 not out, he hit 8 fours and 1 six in his 78 ball stay at the crease, Justin Pitcher was the pick of the St. David’s Cricket Club bowlers with figures of 3-0-20-3. At the St. John’s Field, Western Stars were out for 89, Nyon Steede was the top scorer with 19, while Onias Bascome was the pick of the St. George’s cricket Club bowlers with figures of 4-0-18-3. In reply St. George’s Cricket Club scored 90/3, Treadwell Gibbons was the top scorer with 39, Dante Wellman returned bowling figures of 1-0-3-1 for Western Stars. At the Southampton Oval, the Somerset cricket Club could only manage 93, player coach Jeff Richardson was the top scorer with 24, Lamont Brangman was the pick of the Southampton Rangers bowlers with figures of 4-0-20-4, while Charles Trott bowled 2-0-11-3. In reply the Southampton Rangers would score 99/7, Ricardo Brangman was the top scorer with 32 not out, Jordan DeSilva was the pick of the Somerset Cricket Club bowlers with figures of 3-1-7-3.